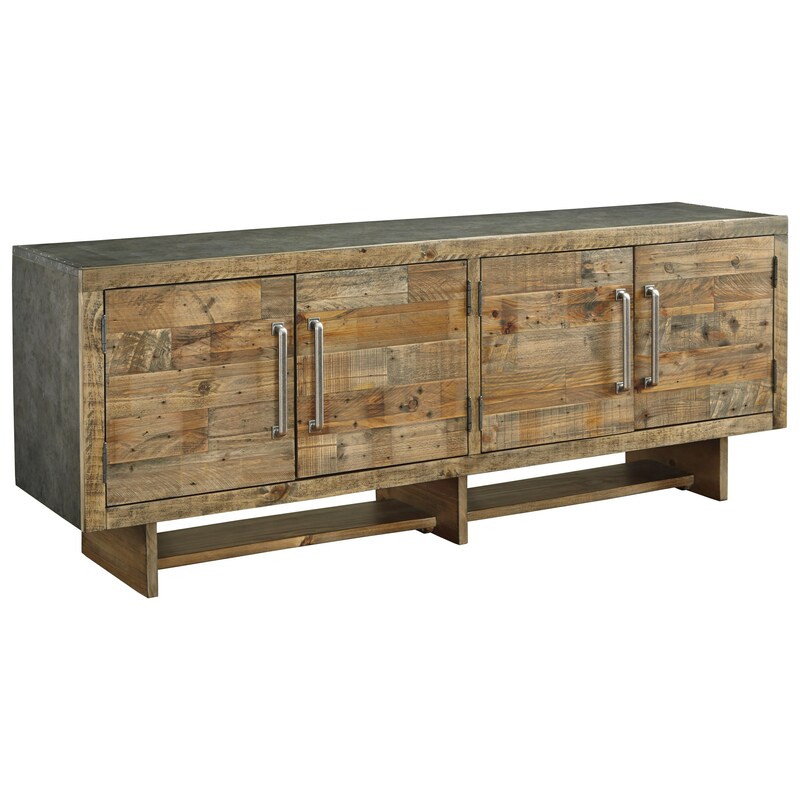 The mix of reclaimed pine and faux metal create the industrial style for this 72" TV stand. Its extra length, two adjustable shelves, and wire cutouts mean you have plenty of space to store all your entertainment systems and movies. The rustic brown finish brings a sense of warmth to this industrial TV stand. The Mozanburg Industrial Reclaimed Pine Extra Large 72" TV Stand with Faux Metal Top by Signature Design by Ashley at Prime Brothers Furniture in the Bay City, Saginaw, Midland, Michigan area. Product availability may vary. Contact us for the most current availability on this product.